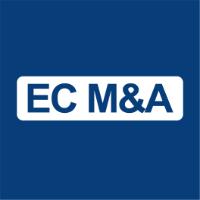 Matt joined EC M&A’s New York office in 2012 and focuses on M&A transaction origination and execution, project management and client relationship management for small-to-middle market cross border transactions across North America, Europe and Asia. He advises clients on acquisitions, divestitures, and buy-and-build strategies, including origination of proprietary acquisition opportunities, financial analysis and valuation, due diligence, and project management. Prior to joining EC M&A, Matt worked for a boutique investment bank in New York specializing in financial markets advisory services for structured credit and complex asset valuation. Matt holds an MBA from Fordham University in New York and a BS and BA in Business Administration and Economics from Stony Brook University. He is a Registered Representative and holds Series 7 and 63 FINRA licenses.